Black Forest cake (American English) and Black Forest gateau (British English) are the English names for the southern German dessert Schwarzwälder Kirschtorte (literally "Black Forest cherry torte"). Left: A slice of Schwarzwälder Kirschtorte. Typically, Black Forest cake consists of several layers of chocolate cake, with whipped cream and cherries between each layer. Then the cake is decorated with additional whipped cream, maraschino cherries, and chocolate shavings. In some European traditions sour cherries are used both between the layers and for decorating the top. Traditionally, Kirschwasser is added to the cake, although other liquors are also used (such as rum, which is common in Austrian recipes). 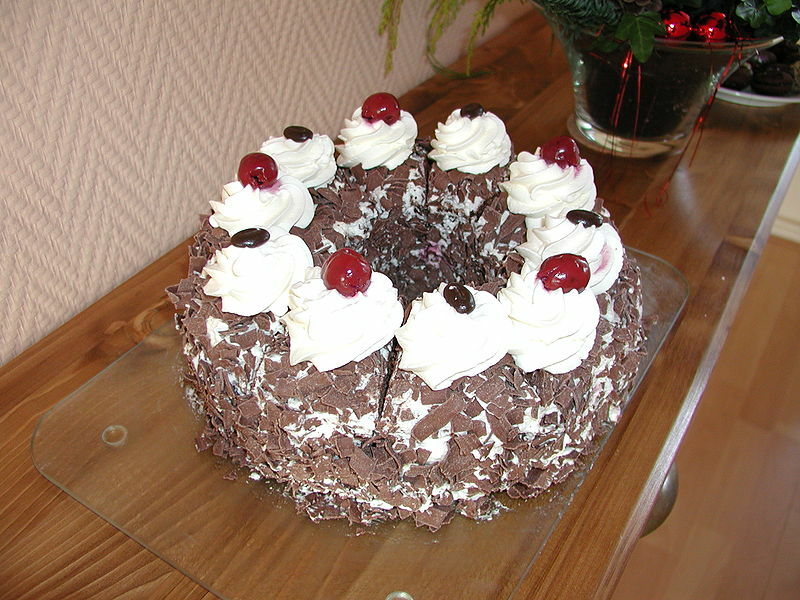 In the United States, Black Forest cake is most often prepared without alcohol. The earliest combination in the Black Forest of cherries, cream and Kirschwasser was probably not in the form of a cake but instead as a dessert. Cooked cherries would be served with cream and perhaps Kirschwasser. 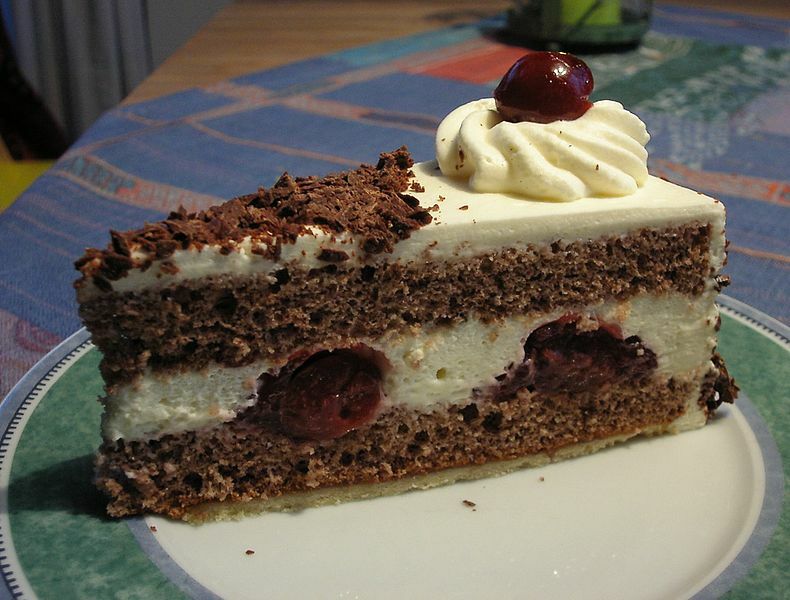 A cake combining cherries, biscuit and cream (but without Kirschwasser) probably originated in Germany. Schwarzwälder Kirschtorte was first mentioned in writing in 1934. At this time it was known especially in Berlin as well as at good confectioners in German, Austrian and Swiss cities.